If I were to ask you to take out a blank sheet of paper and write down 7 goals you’d like to achieve in the next 5 years what would you list? 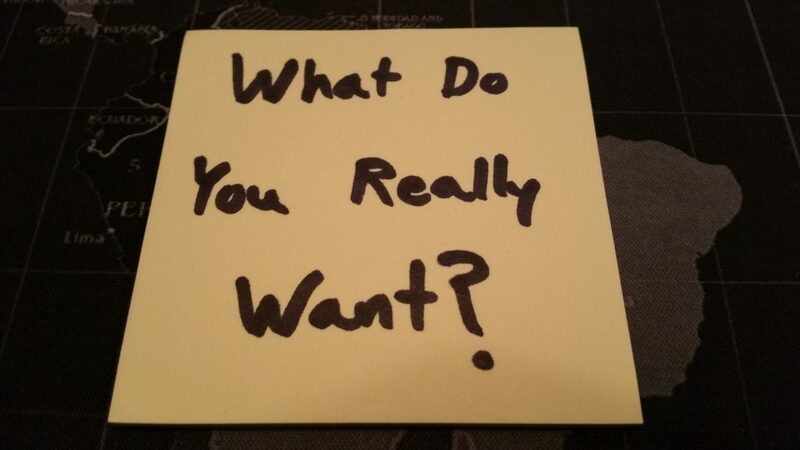 Chances are you’d come up with 1–3 things that you’d really want to do and then fill in the rest with things you think you should want. For example, if you’re not happy with your body weight you may put something about losing weight (or gaining weight if you’re a skinny guy like me).